When Replate began operations in 2016, food waste was not in the public eye as much as it is today. There are now public education campaigns, new policies in place, thousands of new food waste innovators, and people learning about the harmful environmental and social implications of food waste. Meanwhile, 42 million of our national neighbors still struggle to find their next nutritious meal. 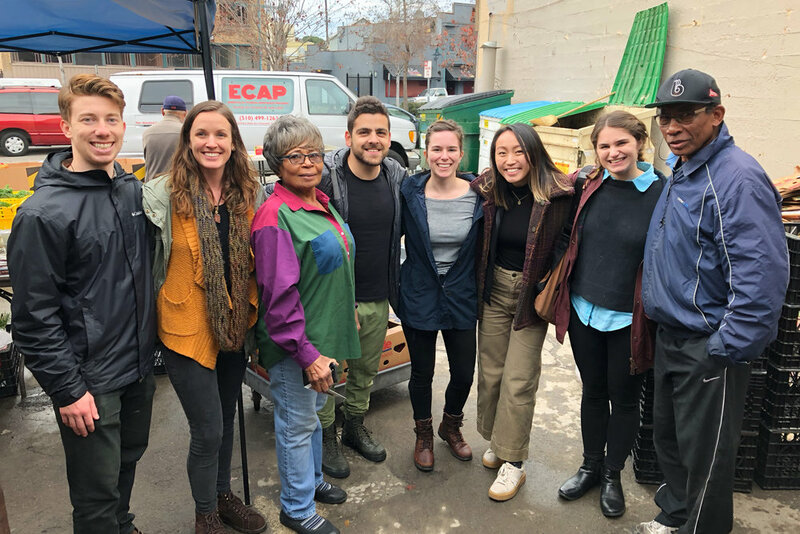 With only three years on the ground, Replate has been able to help in supporting nutritional needs of more than 1.6 million people in areas with some of the highest numbers of food insecurity in the United States, all while diverting over two million pounds of edible surplus food from the waste stream! Why Tackle Food Waste and Food Insecurity? When Replate’s Founder and CEO, Maen Mahfoud, was a young boy growing up in Homs, Syria, his mother used to ask him and his brother to give food to neighbors who experienced food insecurity before they could sit down to eat. “You don’t eat until everyone is fed.” This was the mentality Maen grew up with and has kept ever since. Upon arriving in California for University, Maen was shocked to see more people on the streets of San Francisco without secure access to food than in his hometown, and even more frustrated to see how much food is wasted everyday. He knew there was an efficient solution to get nutritious food to folks in need of a meal. Relationships - Since the beginning, we have focused on transparent and trusting relationships with everyone in our ecosystem. Our donors care about where their donated food goes and we try to share as much information about their donations as possible. Our Food Rescuers are the backbone of our work. We aim to ensure they have everything they need to be successful and feel supported. They will often build their own relationships with our donor and recipient partners, as they are the link between our donor members. Product - We have spent much time and energy creating a product that we know works. One of our early adaptors, Zerocater, helped tremendously in providing feedback to create the user platform. We now have an easy-to-use customer platform to enable surplus food generators a hassle-free way to donate food. We continue to iterate our platform and will be offering more ways to reduce surplus food and get it to neighbors in need. Reliability + Efficiency - Through trials in various markets, we’ve established a reliable and efficient service for our donor and recipient community, even through extreme weather or unexpected circumstances. Our fleet of professional Food Rescuers allows us to be consistently on time to move food for our recipient partners who rely on donations. Business Model - Replate incorporates both nonprofit and for profit aspects. We hold a nonprofit status and mentality with a lean, revenue generating fee-for-service model. We choose to be a nonprofit because we encourage a philosophy that minimizes waste rather than capitalize on it. This work is a good way to help communities with access to food, reduce harmful environmental effects food waste has on the planet, and to create employment. All that comes with an overhead operational cost, which is why we also choose to have a fee-for-service model to sustain our operations. Replication - We are creating technology and activating community to redistribute surplus food to communities in need, anywhere. We’re currently operating nationally with a goal to be international in the near future. Food waste is not isolated to the U.S. and the model we operate on can be replicated endlessly. Modern Philanthropy - Replate runs on people who view philanthropy as a way of living, not just a thing you do. Our team has chosen to put their skills into Replate’s mission because the desire to help others and the planet is strong and uncompromising. Our mostly millennial team is dedicated to working hard at reducing injustices they see in the social and food system while creating creative solutions to these problems. Collaboration - We encourage collaboration to help us understand the problem at micro level, to help others become more streamlined and collect more data. This way, we can better serve recipients, Food rescuers and donors. We’re questioning how organizations can work together to help each other and reduce redundancies. The most exciting thing about our work is that it is only just beginning! There’s plenty more to come from Replate in the coming years as we work our way to feeding 16 million meals by 2022! We have incredible support from public and private organizations like Draper Richards Kaplan Foundation, Amazon Web Services, CalRecycle, ReFed, as well as everyone we work with in our compassionate community. We’ll be ramping up efforts even more and would like to invite anyone who feels inspired to try out or service, refer us to a friend, learn more about Replate, or to join our team! When we all pitch in a little bit, we all benefit and everyone eats!